Author(s) Sue C. Wortham Hardin, Belinda J. Note: This is the bound book only and does not include access to the Enhanced Pearson eText. To order the Enhanced Pearson eText packaged with a bound book, use ISBN 0134057287. 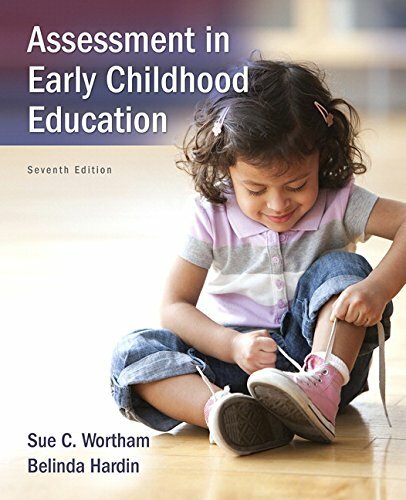 This comprehensive text helps prepare future and current teachers to measure or evaluate children in early childhood, to become fully informed about the range of assessment possibilities available, and to learn how those techniques and instruments can be most beneficial to the children in their classrooms. This new edition features expanded and enhanced material covering the ever-growing trend toward performance assessment, portfolios, and other methods of reporting a child’s performance. Throughout, the approach of the authors is to present the development of an assessment system that includes traditional as well as authentic assessment strategies in a comprehensive plan and to seek to inform the reader about all types of assessments and their appropriate use. The Enhanced Pearson eText features embedded video and assessments. Improve mastery and retention with the Enhanced Pearson eText* The Enhanced Pearson eText provides a rich, interactive learning environment designed to improve student mastery of content. The Enhanced Pearson eText is: Engaging. The new interactive, multimedia learning features were developed by the authors and other subject-matter experts to deepen and enrich the learning experience. Convenient. Enjoy instant online access from your computer or download the Pearson eText App to read on or offline on your iPad® and Android® tablet. * Affordable. The Enhanced Pearson eText may be purchased stand-alone or with a loose-leaf version of the text for 40-65% less than a print bound book. * The Enhanced eText features are only available in the Pearson eText format. They are not available in third-party eTexts or downloads. *The Pearson eText App is available on Google Play and in the App Store. It requires Android OS 3.1-4, a 7” or 10” tablet, or iPad iOS 5.0 or later.